One of the most important components to data warehousing is proper and accurate data warehouse reporting. After all, the information inside of your databases is useless unless you can extract important and vital details from the rows upon rows of data inside of them. By utilizing proper data warehouse reporting, critical information from your data can be extracted and shown to you in a simple and easy manner. With today’s competitive marketplace, knowledge is power and these reports can be a boon to your company. There are many different technologies in the marketplace that can help you achieve this goal of good data warehouse reporting. Windows Reporting Services (WRS) is a basic, yet effective application that can start generating reports on your database right away. 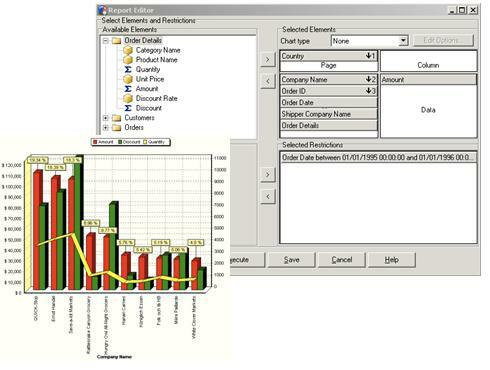 Crystal Reports can create clean and graphical reports that are strong enough to show your business partners and executives. And the Business Intelligence and Reporting Tool (BIRT) is a popular open source technology to fulfill many of your data warehouse reporting needs. It’s all about choosing the right tool that can generate the reports you want to be used in the ways you need. This is where the experience and expertise of Ayoka’s reporting services comes in. By sitting down with you and fleshing out what needs you have in your reports, Ayoka’s team of professionals can quickly put together the reporting solutions that you and your company needs. From simple queries to complex, branching reporting, Ayoka can develop a solution that meets your data warehouse reporting needs. Many companies from a variety of industries, ranging from health care to marketing and inventory management, have approached Ayoka for their expertise and have walked away pleased with the results.